Wandsworth Common Area Guide - What makes Wandsworth Common so great? Where do Wandsworth Common locals go? Share your favourite place to go to in Wandsworth Common. 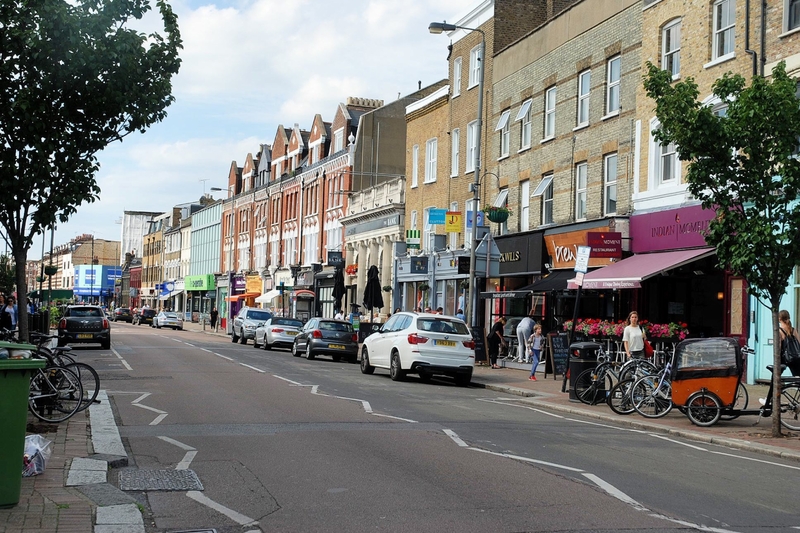 Northcote Road, Battersea is a fantastic place to grab a bite to eat, pick up fresh groceries or go for a drink after work. It's fun to watch the ducks swim across the ponds at Wandsworth Common. Wandsworth Common is a public common in Wandsworth, south London. It is close to Clapham Common and Wandsworth Common railway station. It is wholly in the London borough of Wandsworth. There is a large area to the east of the train line, which is mainly used for competitive sports (mainly football, touch rugby and rounders). There are a number of ponds and a lake, which can be used for fishing (with a permit). Houses on the Wandsworth (SW18) side are in what is known as the 'Toast Rack' and are large Victorian semis and detached homes, some with blue plaques denoting notable residents who previously lived there. Thera are many 'boutique' shops along Bellevue Road, surrounded by up-market Victorian/Edwardian housing. What are your favourite things about Wandsworth Common? Find out how much your flat or house is worth om Wandsworth Common. Feedback about living in Wandsworth Common has been submitted directly by the public and may not neccessarily reflect the views of Foxtons. The description of Wandsworth Common was modified from Wikipedia and is available under the Creative Commons licence. Land Registry data is Crown copyright. All the views and contributions contained within Foxtons Local Life are those of the contributors. All content is assessed before publishing for taste, however free opinion is encouraged. Foxtons accept no payment or sponsorship for content that is posted about Wandsworth Common.